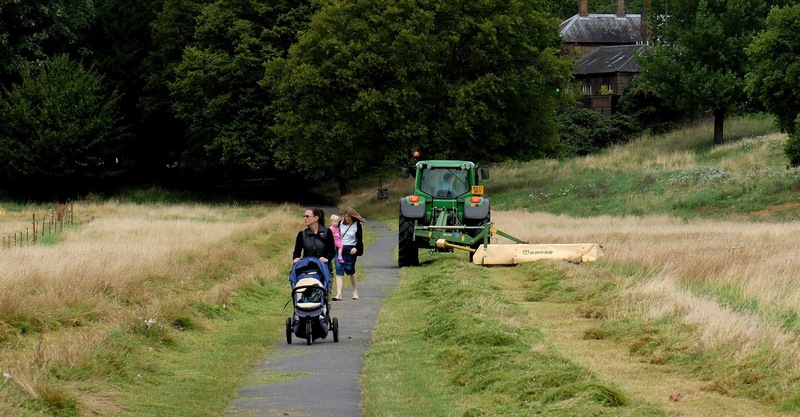 After the fantastic crowd turnout for the Olympic Road Races, the good people at the National Trust have introduced their own competition on Petersham Meadows. It’s called Health & Safety Roulette and is played over four days. Each day has a different risk level: cutting, turning, baling, and removal. To improve the excitement safety notices are made as discrete as possible. This is further enhanced by staging the event during the school holidays when more families visit the Meadows. The idea behind the event, now that the dangerous cows have been contained behind an electric fence, is to introduce a new and unexpected danger. Then cross your fingers and hope. 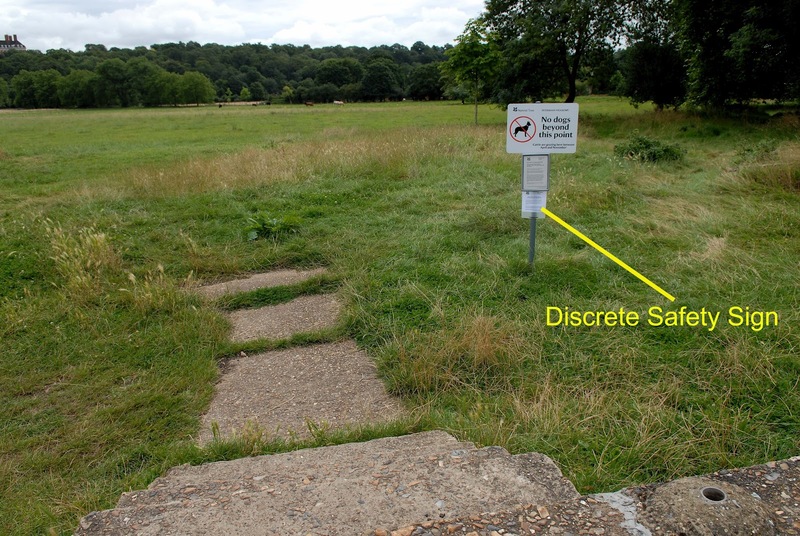 In the past free roaming cows grazed all areas of Petersham Meadows. So, this is the first time it has been possible to stage this event in 400 years. 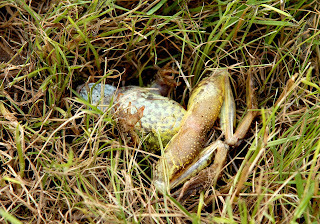 No knockout score on day one but points awarded for biodiversity reduction with the death of rare amphibians. Yes, ‘cows’ kill people and public safety is important so it is imperative to assess any risk. 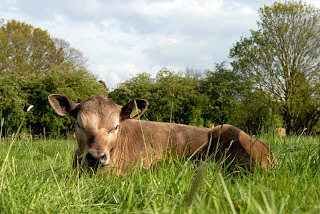 Data provided by the Health and Safety Executive for fatal injuries in farming, forestry and horticulture in the last 10 years record just one death of a member of the public involving cows with calves without a dog being present in public access land. The records indicate that the calves were at foot which the Petersham herd are not. The article you reference uses data from the National Office of Statistics were bulls, heifers, cows, etc. are grouped together under the term ‘cows’. Bulls are very dangerous and cause many deaths each year. My blog is a satirical comment on the National Trust’s flippant disregard for public safety. This Sunday four tractors operated various equipment on the meadows without adequate warning signs to advise the public of any danger. 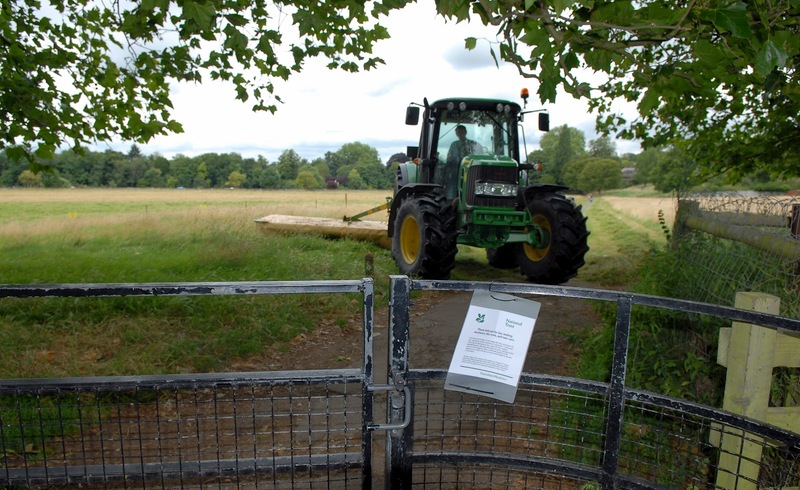 I spoke with two members of National Trust staff and pointed out that tractors operating on the meadows posed a danger to the public. According to HSE guidelines if a risk is identified any measures taken to eliminate the risk should not introduce any new risks. I agree that using health and safety consultants are definitely helpful in ensuring workforce's safety. Through this; any company or organization can guarantee safety to their employees. Beware of cows who kill several people around us in our daily life.. Many universities as well as health and safety consultants hold these courses. If you are employing consultants, they would be able to provide safety training!! !